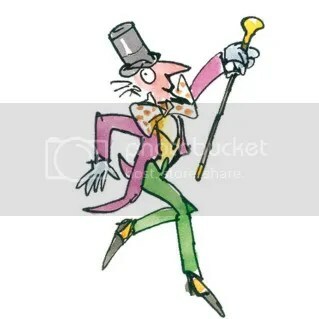 Yippee, it’s Roald Dahl Day!! September 13th – today is officially Roald Dahl Day, where we celebrate the much-loved author’s birthday around the world! 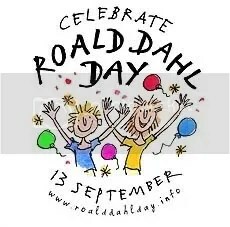 Dahl was born to Norwegian parents in Wales on September 13, 1916. In a world far removed from the fantastical lands and characters he wrote about in his books for children, Dahl excelled as a pilot for the Royal Air Force and also served as an intelligence agent. He first got his start in writing when a story he had penned about his war-time adventures was published in the newspaper. 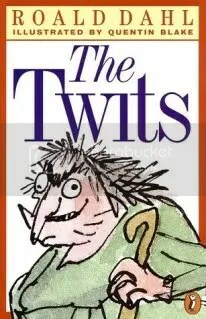 Following that, he started to churn out a number of books, including some that are widely regarded as classic children’s literature, such as Charlie and the Chocolate Factory, James and the Giant Peach, Matilda and The Twits. For these he derived inspiration from his own childhood – pranks played at boarding school, the chocolate samples sent to the students from the Cadbury company, antagonistic teachers and sumer holidays in Norway. However, all of his stories were not for kids. Dahl also published several works that told of life on the frontlines of the war, in addition to screenplays and non-fiction titles. Years later, his books still line bookshelves around the world, and several of his works have been adapted for film and television. For those with young readers around, have a look at the official Roald Dahl Day website, featuring tons of free downloads and a free Roald Dahl Day activity kit. Older readers can head over to Infloox to learn more about Dahl as an author, and find out which books and writers he enjoyed the most himself. Little Pippi Longstocking, all grown up! Remember Pippi Longstocking, fearless heroine to little girls everywhere? As a kid, she was one of my favourite fictional characters and I ardently hunted down the movie and cartoons after poring through the book multiple times over. Well then, what a surprise I got when I came across a very rare interview with the Swedish best-selling, murder/mystery crime fiction writer (recently deceased), Stieg Larsson. In it he reveals that the protagonist in his Millenium series is based on… you guessed it, Pippi Longstocking! That in itself is not that shocking – it seems like a nice tribute from one author to another. But wait till you read how Larsson has reimagined her. Appearing to be plucked almost straight out of a neo-cyber-techy movie, we meet Lisbeth Salander: an unassuming 24-year-old professional hacker. Punk. Abuse victim. Orphan. A human chameleon; fluent in multiple languages. Possibly autistic, yet keenly intelligent with a photographic memory. In bed, she discriminates neither amongst men nor women. And on the streets, she uses her finely-honed skills to keep herself out of trouble, cunningly exacting her revenge when she chooses. Hooked already? Head over here to read more! Welcome to the official Infloox blog! If you are not already familiar with Infloox.com, it is the website on influential people’s influential books! Here you can find out what goes on behind the scenes at Infloox, submit your literary/fiction/author blog for an award, learn more about your favourite influential people and writers and participate in some of our future promotions. For now, have a look around Infloox.com and feel free to plug in some new info about influential people in our world. Accounts are free and you can sign up in a snap!